Coding Contest is launched for all the Green IT Classrooms! In order to encourage schools to use computers and stimulate students creativity we are launching a national wide coding contest among all schools equipped with green IT classroom. The contest will consist in designing a video game on the open source kid friendly coding software Scratch. We already have or will soon provide interested schools with training material and step by step guidebook. Best creations will be awarded by the end of the academic year 2016/2017. 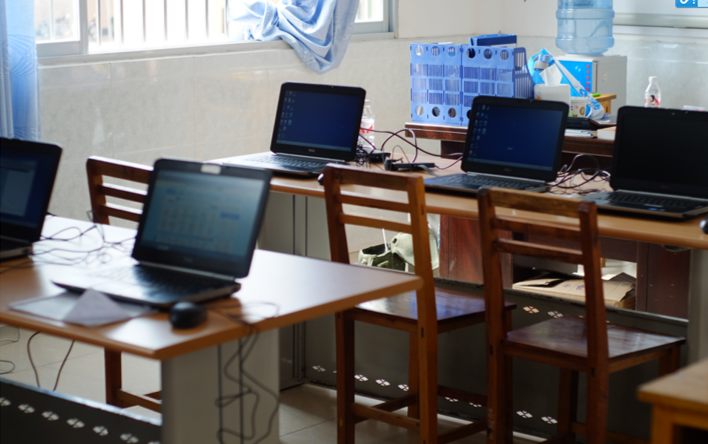 In a joint project with Netspring Social Enterprise, Blessing Hands have set up a Green IT classroom for under-privileged migrant students at Du'an Special Education School, Guangxi Province on October 10, 2016. This is also the 65th classroom Netspring set up in China. The classroom will give school the students at the school an opportunity to use computers to help their studies, and as the school has a fast internet connection, the students will now have access to information from the outside world. This project is part of a larger mission of Blessing Hands to support children with disabilities in China who are often overlooked by society and confronted by the problems of unemployment, poor living conditioins, difficulties in social integration, and obstacles to accessing information. 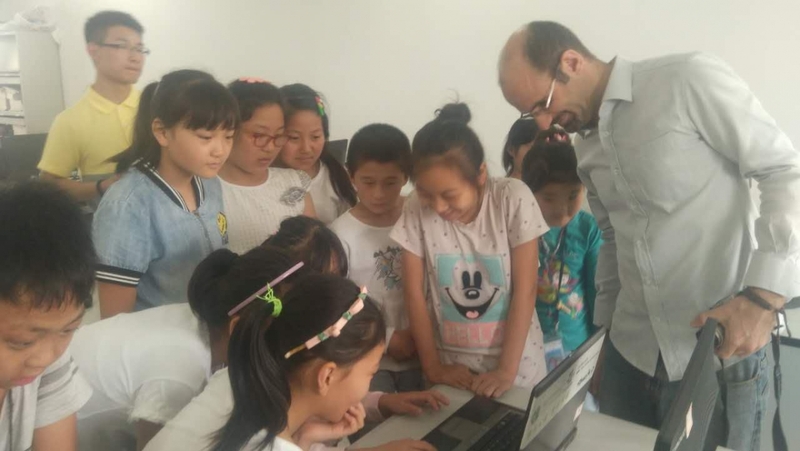 On October 26th, volunteers from the International Association of Chemical Manufacturers (AICM) and their member companies along with the Netspring team, made a revisit trip to Wuxi to carry out a water conservation awareness activity with the students at Wuxi Qinghe Primary School, where AICM have set up a Green IT Classroom. The volunteers led a lesson designed by Thirst For Water, a Shanghai based NGO that promotes water awareness and conservation among students in China. The activity began with an IT class, followed by a handicraft activity where students made a bio-filter from reused plastic bottles. The event was a huge success and greatly contributed to the awareness and importance of water conservation and environmental protection among the students. On the morning of October 20th, Rexel gave Shui Kou Miao Primary School in Li Jiazhen town, Henan Province 20 computers, successfully setting up a Green IT Classroom. The company has also previously donated a PV generator, and solar water heater to the school, as well as 20,000RMB worth of teaching materials and items for daily use. At 9:20am on the morning, more than and 30 Rexel volunteers, under the support of Netspring, arrived at the gates of Shui Kou Miao Primary School to hold an opening ceremony to mark the official opening of the new IT classroom. Rexel’s team leader, Cai Yongze, delivered a speech a touching speech during the ceremony, in which he encouraged the children study hard and strive for excellence in their studies and in their character. On Oct 21st, 2016, Beaumanoir Group supported a new Green IT Classroom “Cache-Cache Green IT classroom” in Luxu Gaoxin Primary School in Wujiang, Suzhou, Jiangsu Province, with 20 refurbished computers equipped there. This classroom marks the second Green IT Classroom Beaumanoir Group has supported from 2013. Around 1150 students of this school now have access to a better IT education. In this golden autumn season, a special new academic year came to Yichun Xilin Primary School in North China's Heilongjiang Province. 3 years ago, the Yichun Xilin primary school, with the help of Netspring, had a Green IT classroom set up. Over the past 3 years, the students and the computer teacher in the school made full use of this IT classroom by holding computer classes almost every week. Through several semesters of study, the students not only learned the basic operation skills of the computer, but also increased their interest in learning advanced and dynamic scientific knowledge. At the beginning of this year, the IT classroom is about to expire at the end of its 3-year service term. Knowing that, the teachers and the students were reluctant to part. "Is there any way to keep this computer room, and let us continue to learn?" The school teachers and students asked the Netspring staff. September 13, 2016, Freudenberg Corporation successfully set up a green IT classroom in Qixin School in Wujiang District, Suzhou. This is also the 64th IT classroom Netspring has established in China. Local TV station reported this event. Click here to watch the video. 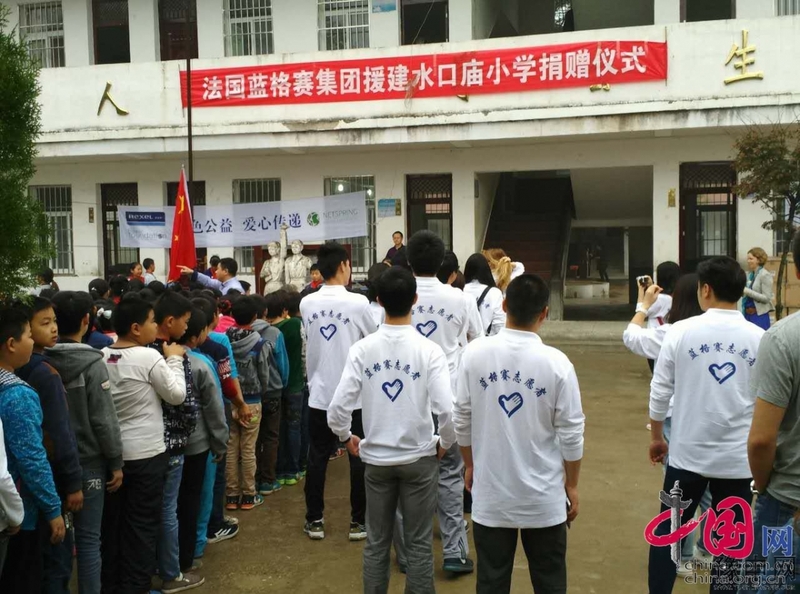 Bettina Schoen, Regional Representative Asia for the Freudenberg Group , and CEO of Freudenburg Asia Pacific Region, Retro Bless, led a dozen of volunteers from Freudenberg Shanghai and Suzhou offices to join in the launch ceremony along with 620 students and teachers at the school. Bettina Schoen who is from Germany, delivered a fluent speech in Chinese during the ceremony. She expressed hope that the classroom, equipped with 25 recycled computers from Freudenberg company, would be put to good use by holding voluntary activities over the next 3 years and that it would help students master computer skills and cultivate an eco-friendly concept. In the new fall semester, we will cooperate with enterprises and foundations to build up new Green IT Classrooms in different areas including Guangxi, Shaanxi and Jiangzu provinces. Above 2000 students are estimated to be benefited. Besides, the IT courseware and Scratch contest will be introduced to the Green IT Classrooms as well to ensure students learn to use computers in an effective way. In the first 6 months of this year, Netspring received 840 unused desktops and laptops and refurbished 25% among them. Most of the refurbished computers have already been sent to IT classrooms in schools for use, and the rest are waiting for delivery to schools in the new fall semester. Besides, there are another 443 computers waiting for test and refurbish, and the successfully refurbished computers will be sent to Green IT Classroom as well. The electronic goods that cannot be refurbished were and will be all dismantled in an eco-friendly way by qualified professionals. To make it convenient, Netspring started in the second quarter to open our office on the last Saturday of every month to receive unused electronic goods from individuals and enterprises.